I drew this one back when I was in the University of Michigan School of Art. Professor Ted Ramsay had us do a couple of Old Masters copies. 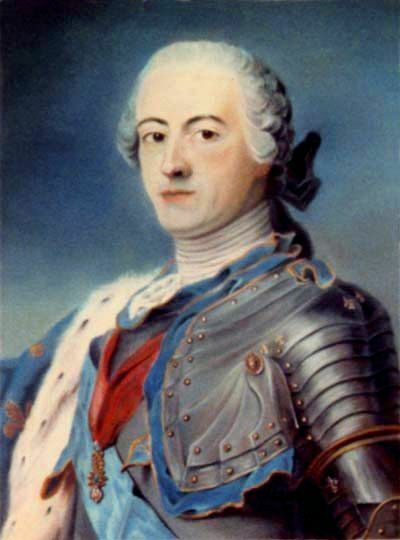 I chose a drawing of Le Roi Louis by Maurice Quentin de la Tour. It is a stroke for stroke copy (as best I could from an image out of a book), and for a while it was pretty much perfect, but then I learned why you don't spray fixative on a pastel. It wet the surface with drops that created a spotty look. Unfortunately, this is the only photo I have of the drawing before the damage. It still looks good on my mom's livingroom wall, but it doesn't have the power it did when I made it.